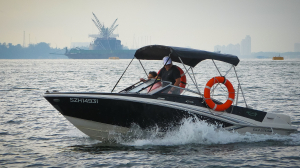 Bello is a nifty little bowrider ideal for getting around the northern shores of Singapore. 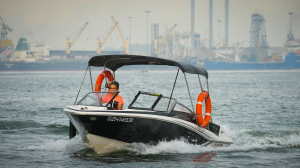 Her outboard motor and shallow draft allows you to get close to the beaches! FILL THE FORM BELOW IF YOU ALREADY BOOKED THIS BOAT. 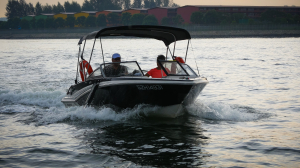 LOG IN AND BOOK THIS BOAT TO SUBMIT YOUR REVIEWS. If you have a promo or discount code, you can enter that in the booking summary page to get your discount. I have read and accepted fully the terms of charter stated in the charter agreement "Charter Agreement" including indemnities and refund policies.